The castle consists of a 15th century rectangular keep with a later Jacobean style wing. The complex is surrounded by a 17th century boundary wall, with a small gatehouse at its entrance mirroring the design of the keep. 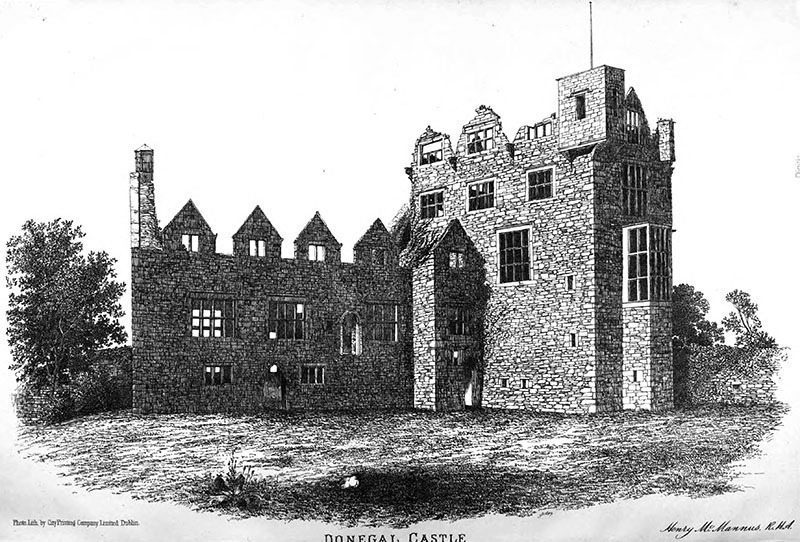 The castle was the stronghold of the O’Donnell clan, Lords of Tír Conaill and one of the most powerful Gaelic families in Ireland from the 5th to the 16th centuries. In 1611 the castle and its lands were granted to an English Captain, Basil Brooke. 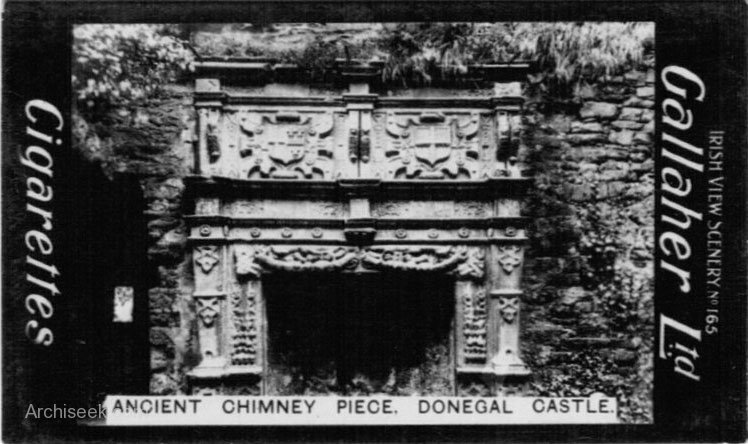 The keep had been severely damaged by the departing O’Donnells to prevent the castle being used against the Gaelic clans but was quickly restored by its new owners. Brooke also added windows, a gable and a large manor-house wing to the keep, all in the Jacobean style. 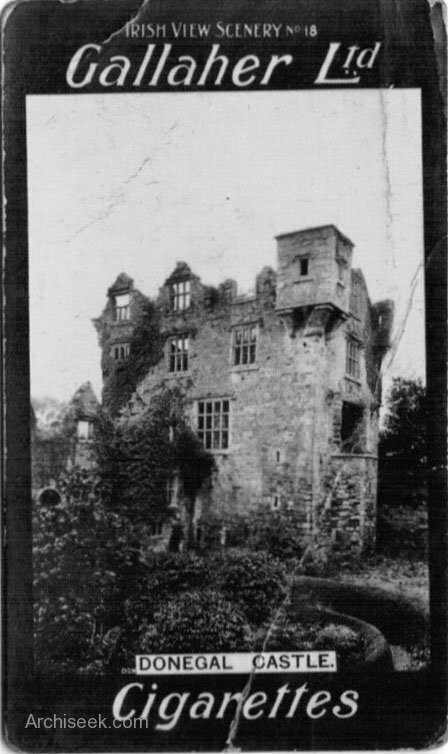 The Brooke family owned the castle for many years until it fell into a ruinous state in the 18th century. In 1898 the then owner, the Earl of Arran, donated the castle to the Office of Public Works. Largely reconstructed during the twentieth century. The keep has had new roofing and flooring added, in keeping with the original styles and techniques used in the 15th and 17th centuries. The stonework has been restored and the manor wing has been partially roofed.